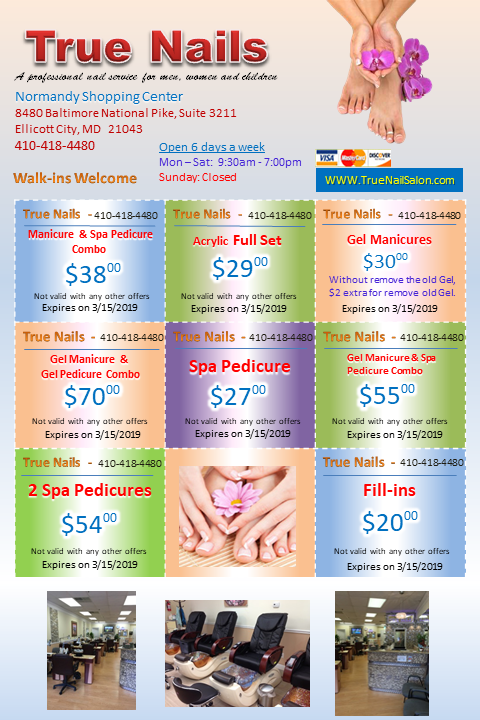 True Nails salon in Ellicott City is a full-service nail salon that has been specializing in nail treatments for more than 10 years. 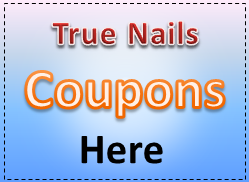 All our technicians are professionally certified and have at least 10 years of nail experience. We keep the salon very clean and well ventilated, so you have a nice atmosphere to relax in. You work hard, so treat yourself to a manicure or pedicure today! Conveniently located on Rt. 40 west in the Ellicott City, MD. enjoy a day of pampering, dining and shopping. We can accomodate single, couple or group needs. We use only top quality products in a clean and safe environment.